Yikes, over three weeks since my last post! 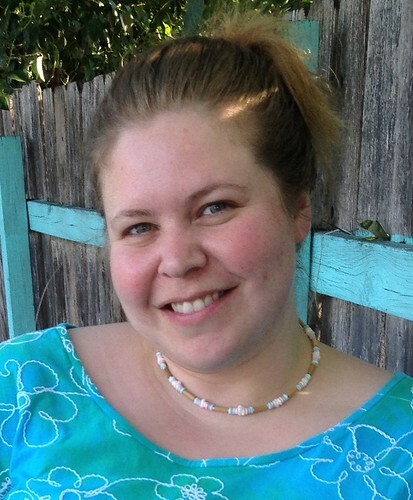 And here I am, without a stitch of stitching in this one… I’ll remedy that next time, I promise! All credit for this idea goes to Alton Brown, and it’s only one of his many brilliant ways to turn kitchen tools into multi-taskers. In case you haven’t seen this one, I threw together a quick tutorial. 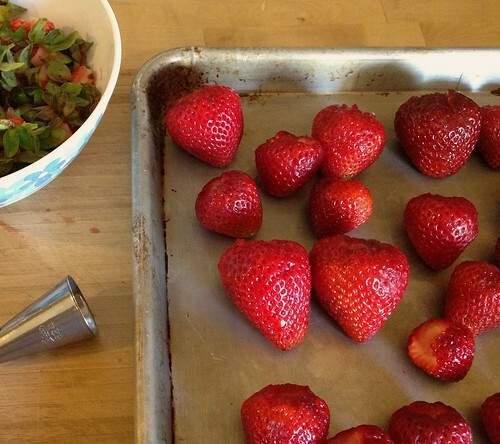 Begin with fresh strawberries, rinsed and drained. Pinch off the leaves. Hold an open-star pastry tip in your dominant hand with your index finger positioned in the wide end of the tip. 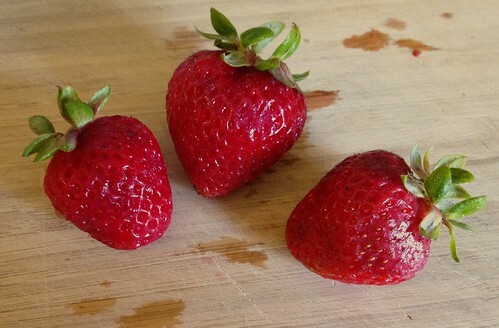 (I think Ateco #824 is about perfect… #825 for really big berries.) 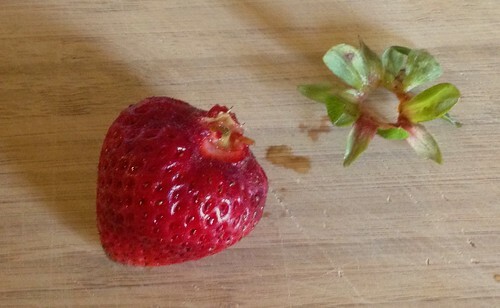 Insert the tip into the stem end of the strawberry (the part you want to remove). Twist, then tilt the tip slightly and remove it. The hull should come with it. 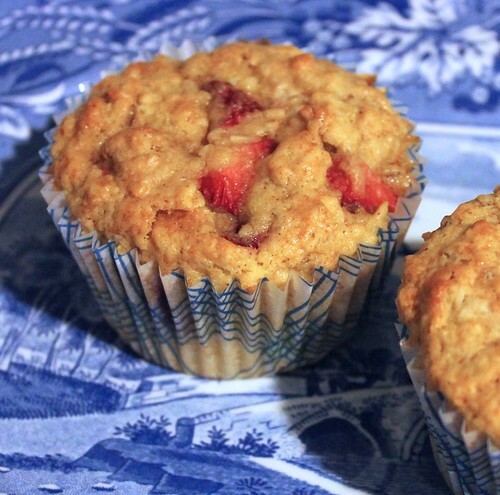 In an effort to incorporate a bit of doing my pinning, here’s a recipe for strawberry oatmeal muffins that I made recently. Muffins aren’t the sexiest category of baked goods, but they’re a favorite of mine. Baked goods for breakfast, lots of leftovers, fruity (usually), yummy, what’s not to love? Well, there’s actually a couple of notable things not to love in many recipes I’ve tried: 1) flavor, and 2) texture. So many muffin recipes fall short on one or both of these. Not this one! I was intrigued by the inclusion of balsamic vinegar and black pepper, neither of which I’d ever used in a muffin. These elements aren’t obvious in the final product, but they give it a depth that definitely fills the flavor requirement. The inclusion of butter, yogurt, and plenty of leavening provide just the right texture as well. Get the recipe. You go, sister. I have a pint of strawberries in the fridge that need eating or prepping and storage. Thanks for the post. I’ve always been frustrated slicing off the tops – it seemed like so much waste. 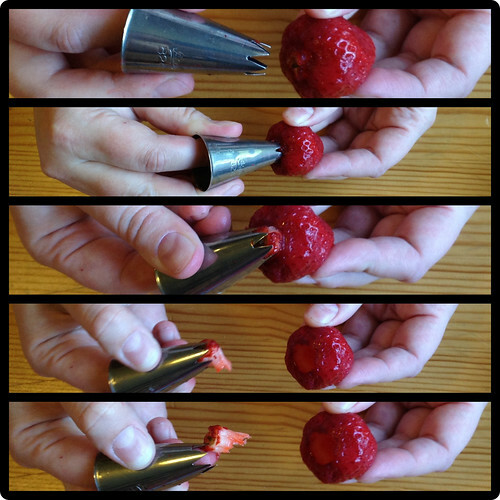 I love this idea, and I may even have a metal pastry tip buried somewhere…thanks for sharing that! I freeze them on a sheet like you do, for smoothies and such. We have been making blueberry muffins here, but this recipe looks better – I’ll have to give it a try.